Found in the northwest where it commonly inhabits beaver ponds and other still water. 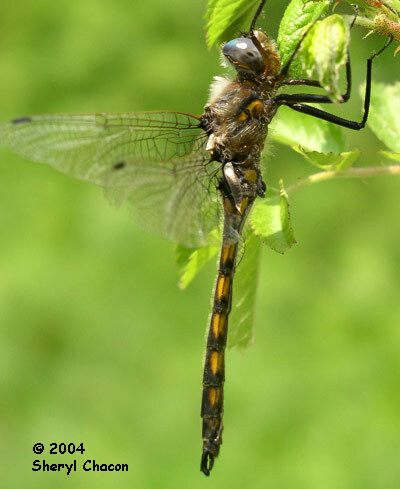 Known from Common Baskettail by the spindle shaped abdomen, strongly constricted at S3. 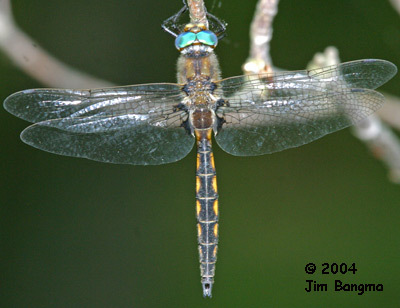 Note the shape of the claspers shown in the lateral photo.